Kenansville Eastern Missionary Baptist Association and 25th KEMBA Youth & Family Empowerment Conference presents: JJ Hairston. Gospel artist of “You Deserve It” Guest Speaker / Vocalist will perform at the Duplin County Events Center on April 27th. Chart topping, GRAMMY®nominated, Billboard Music Award and multiple Stellar Award-winning JJ Hairston & Youthful Praise are hailed for their high-energy live shows and hit melodies that have driven the sounds of gospel, contemporary worship and praise forward since their first album in 2001. 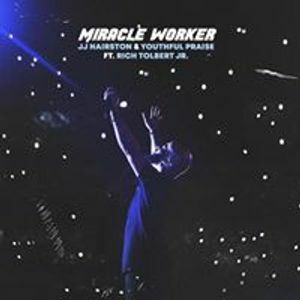 JJ Hairston & Youthful Praise have inspired listeners everywhere for over 15 years, with beloved songs “Awesome God,” “Resting on His Promise,” “After This,” “Lord You’re Mighty,” “Bless Me” “You Deserve It,” and more.